I just can't believe that he was never even arrested. Maybe there's not enough evidence to convict, or maybe he'll get off because of the inane FL law, but to not even arrest and do a full investigation? That makes no sense. I did think it was interesting that when I first heard of the case, I assumed he was white (I mostly read news). It wasn't until I saw a CNN bit at the airport that I realized he was hispanic. It changed my perception of the man somehow. Why is that? Not so much that I thought he was less guilty, just that he was maybe less likely to be threatened by a black teenager in a hoodie? I don't know...I keep thinking about it. many latinos consider themselves white. the police report labeled zimmerman white - which i believe is a question they ask and not an assumption that is made. and being hispanic or latino doesn't seem to carry any guarantee against prejudice anyway; within latino countries and/or communities you will find a great deal of "shade-ism"
but, for that matter, he could just as easily have been black and motivated by racism. is it less likely? i suppose. jesse jackson has said "There is nothing more painful to me at this stage in my life than to walk down the street and hear footsteps and start thinking about robbery. Then look around and see somebody white and feel relieved." and racist whites loooooove to quote that pointing to how 'even jesse thinks blacks are dangerous'. i take it to mean that he is acknowledging how even he has been infected with a racist view of black people. I had a similar reaction to you, and I was relieved to read (in the NYT article from yesterday I think) that the way the 2nd degree charge works is that the jury can choose any lesser charge they see fit if they don't find intent. And I know so little about law that I can't tell you what those lesser charges are, but they're the ones you may have expected him to be charged with, like manslaughter? or something? The other biggies. I believe that with the national outrage, the safest place for this man IS jail. Prison? That's another story. Too many people living with outrage there... he'd be a target in prison. So perhaps this charge is just the pacifier the nation needs right now. Let him sit in jail, waiting for the next diversion, er, I mean... the long, slow arm of "justice" to prevail. When he goes to trial and they learn that there is NO evidence beyond a shadow of a doubt that Zimmerman is guilty, he can be acquitted. Then he'll be free to go into hiding for the rest of his life. Hey, he'll need to go into the Witless Protection Program because he will never live this mess down! Witless. He didn't witness anything. All it will take is one celebrity scandal (or death), and (with the exception of Trayvon's parents)attention will be diverted once again to the next new item. To me, it doesn't matter if a Hispanic, Black, White, or Yellow person fired the shot. What troubles me is Zimmerman's mutterings on the 9/11 call. Everyone seems to forget that BOTH individuals held the right to stand their ground. Whether or not Trayvon doubled back, matters not. Yeah, I wouldn't be seated on that jury; although I'd LOVE to hear Zimmerman's side of the story. He's had enough time to gloss it up, run it up the flagpole, and see who saluted. Either way, stick Zimmerman with a fork; he's done. I believe Angela Corey won't have any problem proving 2nd degree murder, based on the facts that have been publicized by social media and traditional media. The case is so charged because the Sanford police played judge and jury when they didn't arrest him, and because of the 911 tapes where Zimmerman sounded like he had frustration against black people. He attributed the crime in his neighborhood to blacks, even though no one had ever been apprehended in the past (I assume). As seekingsibling said, it's unbelievable that he wasn't arrested and charged. Seems like 2nd degree murder fits the situation; we'll see when all the facts are televised. I agree with you on all points. Had he been charged immediately after the incident, things would not have been inflamed. He should have been charged no matter who got shot. Zimmerman was grossly irresponsible and negligent in his behavior. The fact that he called 911 49 times should have alerted the authorities that there was a dangerous vigilante nut running around. Not sure why he was allowed to carry a loaded weapon. As a 32 year old black man who has never experienced any direct racism, I fear this "situation" will cause may my inner angry black man to come out. If I hear one more person say "Treyvon wasn't an angle" I will flip out! why do people (mainly white people) seem to think they can justify Zimmerman's actions by sighting Treyvon's past. Just because any kid has been suspended from school, doesn't mean its OK to kill that kid. even if he's wearing a hoodie. 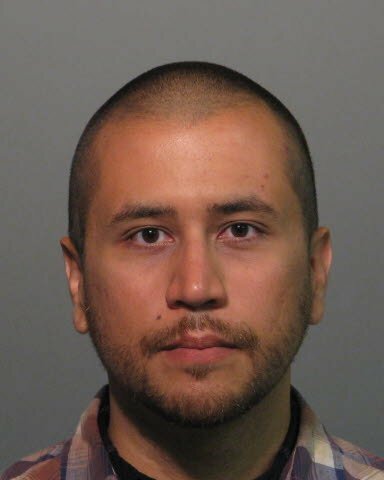 The other think white people are saying that's ridiculous is, "Treyvon attacked Zimmerman" Seriously! what was Treyvon supposed to do? Offer they stranger fallowing you with a gun some skittles and a sip of his tea. OK now that I've said my piece, I feel my inner "Angry Black Man" is safely stowed. none of that sounds like "angry black man" to me - it all sounds like reasonable and compassionate human. zimmerman, by his OWN account, had an opportunity to identify himself to martin and did not take that opportunity. perhaps, PERHAPS, if he had martin would not have struck him (IF he struck him). and suspension??? have you ever heard that offered as justification for killing a kid? and how does "suspension" trump "domestic violence and assault on a cop"??? all due respect but classifying those things as "angry black man" is well, racist. by that criteria - i'm an angry black man as well. In the initial NBC reporting, where Zimmerman used racial epithets and mentioned Trayvon's ethnicity without being solicited by the 911 officer - this fit so neatly into a certain archetype of 'the racist' that it became instinctual for many people to direct hostility and judgment towards him - despite not really being on the scene or having direct view of the facts. The story acted as a kind of 'racial inkblot test' - showing what kind of story the viewer is inclined to see. It allowed those of us who believe racism to be an enormous problem, to see a 'perfect' expression of it. It allowed those who get some kind of emotional reward from denying the existence of racism (like denying the holocaust) - gave them an opportunity to renew their committment to that denial. I've heard the case of Trayvon’s murder described by many anti-racists as some version of 'particularly clear' in its representativeness of the injustices faced by blacks in America. But it may not be either, in the end, clear or representative. What surprises me and impresses me personally is the seductive nature of the moral authority which amassed itself initially, against Zimmerman. I do feel some relief at the arrest of Mr. Zimmerman. Mainly because to my mind, regardless of intersections with racial issues, the case is one of a person ostensibly following and accosting a person (I use the word to mean "approaching and speaking to in a challenging way") when it was not his role to do so, after being told not to do so by police, and then using deadly force leading to the death of an ostensibly innocent person. In such a case, I think a person should be arrested, period! Florida law is a problem child in this story, and as my friend Joe pointed out recently, gun violence and gun culture in general is another major player. As I write this, the NBC story has come out that the narrative we were initially presented with (with the ‘paradigmatic racist’) was the result of misleading editing. Now it seems questionable whether Zimmerman is really the 'symbol of racist oppression' which he was presented to be. Whether he is or is not, what I find interesting is how I personally found it hard to question that narrative after it was initially established in my mind. Questioning the story after it was clearly held so dearly by the anti-racist community, was difficult because it meant separating myself from a community which I generally consider to have more insight and wisdom than me on these issues. In that case, I was suspicious of myself, as if reluctance to condemn Zimmerman was an expression of my own racism. It didn’t stop me from questioning, but it made it harder. personally those pieces factored very little into my view of whether the situation was an expression of racism. it still is the perfect expression of - because an individual's (zimmerman) intent is always far less important than the reaction of law enforcement and society at large. law enforcement sent trayvon to the morgue with a toe-tag and no attempt to find his family, they did not charge the man that shot him, they notified his father only after the father reported him missing and then did so with a snapshot of the man's dead son in the morgue. and society at large?? wants to know what trayvon was suspended for - then they can decide if he deserved to die. as to zimmerman - when you consider that at least one of the previous46 calls he made in the last year was to report suspicious 7 yo black kids . .. well. . . I thought is was fascinating to hear the prosecutor make the statement: "we prosecute on the facts alone, not public pressure". I felt like it was pretty clear she was doing the exact opposite of that, as the words came out of her mouth --mainly because she went for second degree. Clearly the facts of the case are ambiguous, and to go from no charge to second degree seems like a streach. Why is she streaching, because she believes public pressure has called for it. Yet, I think she was missreading the public pressure. This case is about the system, not Zimmerman. The public just wants to see the system operate equitabily. And in an equitable system, Zimmerman would likely be charged with manslaughter, as that seems the most reasonable charge for the facts. This whole case seems to illustrate how the justice system is plauged by bias and human error. As is any other sector of society, but the other sectors generally dont claim to be so virtuous. Cases like this seem to reveal the justice system as a farse. I know I'm late to the party on this one but 2nd degree murder doesn't require intent, premeditation. It simply states that a murder resulted from an assault that had a high likelihood of someone being killed. You may not have intended to kill the person but you entered a situation, a fight for instance, where (a reasonable person would surmise) there is a significant possibility someone might be killed (ie because you brought a gun to a fight). In my opinion the charge fits because it seems reasonable to me (and I think I'm a reasonable person) that someone could get killed if I bring a gun to a confrontation. George was fully aware of the "screaming" that was recorded and brought into question in this case. If it is George Zimmerman, why would he not give a sample of his screaming for the case so that it could be compared?